Founded in 1964, Palm Desert Insurance Agency is an insurance broker with a reputation for honesty and integrity. Based in Palm Desert in the Coachella Valley since 1989, the company has built its reputation on working to satisfy the entire range of customer insurance needs throughout the Valley and beyond, from Desert Hot Springs, Palm Springs, Cathedral City and Rancho Mirage to Palm Desert, La Quinta, Bermuda Dunes, Indio, Coachella, Mecca and Thermal. We realize that many of our customers have both personal and business insurance interests to protect, and we work to find the best insurance solutions at affordable rates. Many insurance companies like ours stress the importance of customer service. We list that as one of the benefits of doing business with us too, but strive to go beyond the motto. At our local family-owned business, we put the words to life as we help our friends, neighbors, and business associates acquire the insurance coverage they need to fully protect their families, employees, clients, assets, and property. For some basic types of insurance, such as homeowners and auto insurance, you recognize that quickly finding the best price is what most customers want from their insurance agent. To meet this need, we offer online quotes on some popular products and then follow it up with a personal contact. For many other types of insurance, online quotes are ineffective in capturing the many factors that influence rates. Whether these products are for personal or business use, our agents need to consult with you to assure that you are buying the right type and amount of coverage. Once we fully understand the scope of protection you need, we will quickly shop our network of insurance companies for personal and commercial policies with the best rates, the best coverage, and the best terms for you. When you need insurance, our team of licensed professionals will reach out to you to match you up with the coverage you need. Offering you cumulative experience far beyond our number of years in business, our agents are knowledgeable in every type of insurance to fully protect your interests. 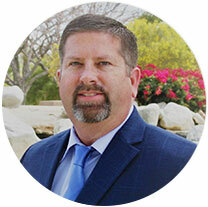 Kevin started his insurance career in 1990 as a customer service representative working for his stepfather at Palm Desert Insurance. After nearly a year, he decided that insurance was his calling and obtained his Property and Casualty license. In 1997, he and his wife Christy purchased Palm Desert Insurance and have continued to grow their business by establishing long lasting personal and business relationships throughout the Coachella Valley. Christy and Kevin have raised two wonderful and amazing sons. Their oldest son Bradley graduated high school in 2015 and is currently attending college in Riverside and is studying to be in the medical field. Their youngest Brian is still attending high school and is very involved in sports, playing water polo and baseball. Kevin and his family are very active and love going on hikes on all the local trails in the valley. They also enjoy taking bike rides on their beach cruisers here in the Valley, as well as at the beach. One of their favorite getaways is going to the river in Parker, Arizona where they have been going since the mid 1990’s. Other favorite pastimes include skiing, snowboarding and spending time in the local mountains during the winter season. Christy started her insurance career with Palm Desert Insurance Agency in 1997, after working as an account manager for a marketing firm for 4 years. She has been in the customer service industry for over 20 years and truly enjoys taking excellent care of her clients. 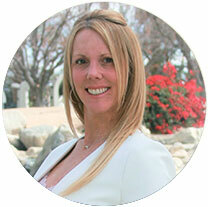 Christy and her husband purchased Palm Desert Insurance Agency in 1997 from her father-in-law, Del Weist. It was there that she learned and found her passion for the personal/commercial side of insurance. She is extremely dedicated to doing a great job and prides herself on providing superior customer service. Christy is currently a member of Desert Professionals BNI group, which is an organization of local business owners that meet weekly to help its members increase their business through a structured, positive, and professional program. She has served on the board for as Secretary for 2 years and Vice President for one year. Christy enjoys networking in the Coachella Valley and it enables her to develop long-term, meaningful relationships with quality business professionals. Outside of work, Christy enjoys spending time with her family, traveling to and from her kids’ baseball games during most weekends. When her children are not playing ball, she enjoys spending time at the river in Parker, Arizona, hiking the trails in the Coachella Valley, biking and snow skiing with her family. Yasmin and her family moved to the Coachella Valley in 2005 where she completed middle school and graduated from Desert Hot Springs High School in 2010. After a couple of years in banking, she decided to pursue a career in insurance and never looked back. She began her career in the insurance industry and became licensed for Property & Casualty and Life & Health in 2013 and has been part of the Palm Desert Insurance team since June 2016. 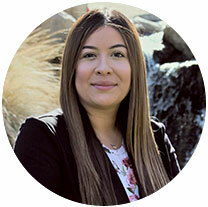 Her commitment is providing excellent customer service while helping clients meet their insurance needs. She married her high school sweetheart, David, in April 2016 and they became proud parents to a smart and wonderful son who loves playing soccer and making masterpieces with his Legos. They also adopted a playful kitten from Palm Springs Animal Shelter and named her Chloe. The family loves spending time together, preferably at the beach, or at Disney’s California Adventure. Coming from a Hispanic/Latino background, Yasmin is proudly fluent in Spanish. One of her hobbies is cooking traditional dishes from her family’s heritage and her childhood. She also enjoys watching scary movies and anything else that has to do with the mysterious, creepy, and unexplained. 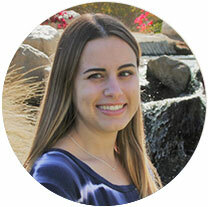 Kaylie was born and raised in Palm Desert, CA. She grew up playing sports such as soccer and softball with her dad and uncle as her coach. Kaylie graduated from Palm Desert High School in 2015 and has since studied business at Crafton Hills College in Yucaipa, CA. She is continuing on to get her associates degree in business management at College of the Desert. Kaylie began working for Palm Desert Insurance in December 2016 and is excited to begin her career in insurance. Kaylie is familiar with the customer service industry and is committed to making sure clients are satisfied. She is an independent, determined, and dedicated young woman who loves to keep busy. When Kaylie isn’t working or attending school, she loves to spend time with her family including her four younger sisters and baby brother. She grew up spending almost every weekend at the river in Parker, Arizona. There, she and her family loved to go out on the water as well as wakeboard. In her spare time, Kaylie loves to play softball with her sisters and enjoys finding new, beautiful, and scenic places to explore.